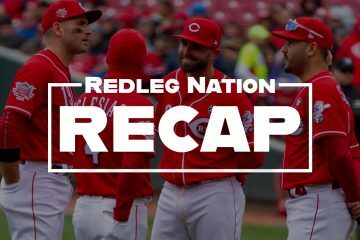 The Redleg Nation editorial staff put together a fine article on the recent developments regarding Aroldis ChapmanÃ¢â‚¬â„¢s move back to the bullpen. Word reached me late as I was in Jalalabad, a city near the Pakistan border that is very active — if you know what I mean. The 101st Airborne – the Screaming Eagles – are there. So you know itÃ¢â‚¬â„¢s a busy place. But back to the Aroldis Decision. The Nation, quite frankly, seems to be in an uproar. My two cents on this will be short and sweet. This is a short-term decision. In other words, this came from Dusty Baker and Bryan Price. Chapman is a long term investment and I had visions of him being a Randy Johnson type of starter when Uncle Walt introduced him to the Cincinnati media years ago. Starting him out in the bullpen was fine. Sparky Anderson did that with Young Don Gullett in 1970 and when Young Don Gullett became a starter in 1971, he posted a 16-6 record. Starting Chapman was a bit risky but worth it. A Cueto-Latos-Chapman trio would be formidable, if healthy. Add No-Hit Homer and always-reliable Arroyo and you have one hell of a starting rotation. And when the Reds signed Jonathan Broxton to a $21 million contract, well, that was icing on the cake. It was a done deal. Chapman would be starting. I was hoping he would start Opening Day. But then when Dusty Baker went to the media on this and Chapman expressed a desire to stay in the bullpen, I knew it was over. Personally, I like Dusty. I think he would be a great guy to go out with it and have a few beers and talk baseball. But this decision is a short-term one, not for the long-term benefit of the Reds as an organization. The Reds have done so many things right the last few years. Signing Joey long term, keeping Phillips and Bruce on the right side, getting a genuine leadoff hitter and trading for Mat Latos. This can still be corrected but things would have to go wrong. WeÃ¢â‚¬â„¢ve seen in the last few days some near-misses with Latos and Arroyo. The Reds could alter their course (again) in June or July and make the Chapman move if Broxton or J.J. Hoover are lights out in the bullpen. But for now, the Reds (and Dusty Baker) are going the conservative route. The safe route. The predictable route. And we all saw what that got us when the Reds were ahead of the Giants 2-0 in the playoffs. And then again sometimes it takes a short term decision to win big or win bigger in the here and now. WJ, DB et al are well compensated for making such decisons; and, one or more of them will probably pay the professional price if this one doesn’t at least appear to pay dividends this season. All of which doesn’t mean I agree with it in total. (I wanted to see Chapman prove himself in a rotation situation at AAA before being put into the MLB rotation and felt the Reds were in a position to take this risk). @OhioJim: Making the long term decision two years ago to commit to Aroldis starting would have made the short term decision simple for this year. We would know if he was capable of starting, contributing 200 innings a year. Putting him in the closer role now is shortsighted and chickenpoop. A once in a generation arm comes into the organization and he is limited to 70 innings a year. Anyone with a brain knows that Broxton, or Marshall, could accomplish 95% of what Chapman at his best could do. The Reds were 78-3 leading after 8 innings last year. Chapman lost all 3 of those games. The major league average for losses leading after 8 innings? 3.7 losses. Stupid is as stupid does. Stupid Reds. I don’t care who is to blame. We’re all being cheated out of the possibility of seeing the next Randy Johnson, Sandy Koufax, Aroldis Chapman. It’s done, let it go. @Jason1972: Yeah. I think just all the angles have been covered. Many times. Still though, it’s really good to hear from John. @Jason1972: just click to the next article. I’m happy to read about this again from another author. Yes, the Chapman move is a short-term one. It may have some long-term fallout. That’s the risk. We all understand this. We understood this a long long time ago, and so that horse is officially dead, beaten, and buried. . The Reds are now a team that must also think in the short term. And in the short term, the bullpen is lights out, the rotation is excellent, the lineup potent, and the team defense stronger than ever. They’re going for it right now, this year–justifiably so. Let’s ditch the patronizing commentary on Baker, even though I know his continued success confounds armchair statisticians (hint: statistics do not tell the entire story…they never have and never will). ps: Price preferred Chapman as a starter. One more time, the decision on Chapman wasn’t going to make or break this team, this year, next year, never. A closer has never led a team to the WS title. And, a rookie starter (what Chapman would essentially be, since he’s never started at this level) has never led a team to a WS title. This team definitely has other worries than that. I wanted Chapman to stay at closer but also was interested to see what he could do at closer. But, the entire decision was minutia compared to what this team will need to do to win a WS title. Steve, with Latos and Cueto at the front of the rotation, the Reds do not necessarily need Chapman to lead the team to the WS as a starter, only to contribute. I can readily think of two Reds rookie pitchers who made substantial contributions as starters for WS teams Ã¢â‚¬â€œ Pat Darcy (11-5, 3.58, 130 innings) in 1975 and Pat Zachry (14-7, 2.74, 204 innings) in 1976. While I have to agree with the reasons to put Chapman into the starting rotation, I can understand why the Reds did not do it this year. They plan to make the playoffs and want him available when they do. Bryan Price had a plan to make it work. He did not reveal it, but speculation was something along the lines of a 6 man rotation for awhile or limiting ChapmanÃ¢â‚¬â„¢s innings in his early season starts with Leake or Lecure following up. This arrangement seems a bit unwieldy, particularly for Dusty who is not particularly adept at managing pitchers (please note last yearÃ¢â‚¬â„¢s playoffs). Others blasted me in a different post for saying I wasnÃ¢â‚¬â„¢t giving up hope that Chapman starts at some point this year because they believed Dusty would never remove him from the closerÃ¢â‚¬â„¢s role. This is totally reasonable logic. While the Reds have a solid rotation, they do not a lot of depth of starters in the organization. The average team used 10 starters last year. If the Reds are forced into using a similar number, there is still a slim chance Chapman could make a couple of starts and be available for the playoffs. Whatever the season may bring, this has been a long spring, my hopes are up and I am ready to see the Reds in action. It’s telling that Chapman related posts used to generate 100 or more comments in the blink of an eye, while this post has generated 4 comments to date. We all know where each of us stands on this issue, heck, I could write the comments of any of the regulars on this topic. Who else is ready for then season to start? GO REDS !!!! I’m talked myself into accepting Chapman as the closer. We know what he can do out of the bullpen. We don’t know what he can do starting every fifth day. What if his mechanics get out of whack in he 1st inning? Could he recover in game from that? Does he actually have other pitches than the fastball? Can he get these anywhere near the strike zone so hitters will think about swinging? There’s far too many questions against him being a starter that outweigh what we envision out of him. However, the crazy notion that he can only start and finish the 9th inning of a game when the Reds are winning from 1-3 runs is absurd. We currrently have 3 players who have spent significant time as a closer (and getting paid like it). 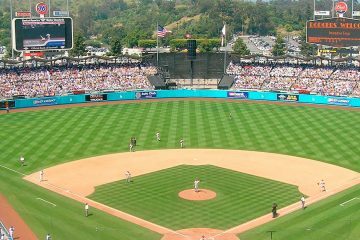 Chapman needs to be used as a Super Closer i.e. pitching out of jams, pitching more than 3 outs. @nelly33: As God is my witness I just posted basically the same thing as you, and before reading your comments. I even used the old saying “a bird in the hand”. Having said that, I must say I agree with your analysis 100%. As a matter of fact I think its brilliant. Just think! This thread topic wouldn’t even exist if Madson wouldn’t have have got hurt last year! But fate stepped in. Although I think Chapman should have been put into the starting rotation anyway irreguardless. They could have come up with another closer option. The Cardinals and the Giants did and they won the last two world series. Ideally he should have been eased into the rotation in ’11 after the Reds where out of it, likes been said before by others on this blog. I can’t help but think of David Price closing for the Rays in the “World Series” not the first round like the Reds, but they didn’t stand pat they moved him to the rotation to improve the team. It would have been easier to leave him there, the old he’s had success there argument but they obviously had a plan and stuck to it. This turned out to be a little longer post than I meant was supposed to just be an ironic post about Madson and Chapman. I guess what’s done is done. Look forward to cheering on the Reds all season and hopefully into the playoffs. Want a short-term move guaranteed to win now? Can Baker and get Uncle Walt to convince Tony LaRussa to come back for a few more WS runs. LaRussa and Brian Price would be awesome. The catcher might even bat 7th, two lefties might hit back to back, and he bases might get clogged. Moving Chapman to the closers’ role is a waste of Payroll, shows very little imagination, and ensures that marginal guys like Leake go out and post 9-13/ 4.98 ERA records. When your 5th pitcher’s best attribute is his bat, you have problems. My guess is Cingrani will be called up once Leake falters (again). They’re paying Chapman to start, or at least that’s why they signed him. His secondary pitches have regressed since the bullpen move. This move makes little sense, especially on a team that has Payroll restrictions, yet has spent 40+ million on the closer’s role. As a starter I don’t think Chapman would have made through the season without ending up on the DL. I think the Reds brass must have felt the same way. In Chapman the Reds know they have one of the most dominating closers in the game. As a starter all they had for certain were high hopes. You know the old saying “a bird in the hand …” Been a long winter, I’m ready for some baseball. Go Reds! What are the chances this is the Reds master plan to avoid a Strasburg situation from last year? We know Chapman can’t pitch 200 innings in his 1st year as a starter. He’s probably shut down around 150. Starting the year in the bullpen could potentially save innings. Then, stretch him out in the 2nd half and get him ready for the playoffs.